Rohini Fernandes set in motion Animal Angels Foundation after getting her golden retriever puppy Angel. 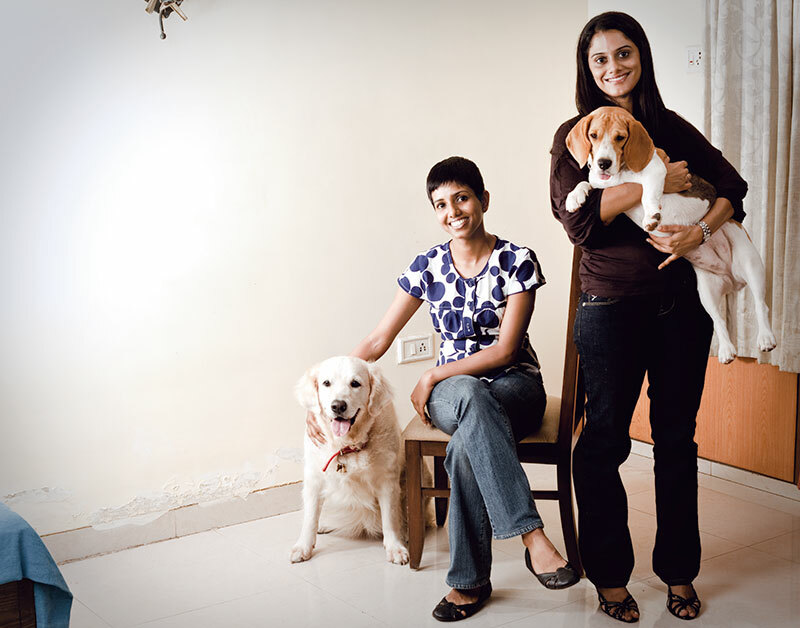 She and her partner Radhika Nair, both clinical psychologists and dog trainers, recognised the benefits of animal-assisted therapy. “I’d start to talk about animals and my clients would become more relaxed. It was easier to connect with them and get better and quicker responses,” says Rohini. The organisation uses dogs, a cat and even fish to help in healing. Rohini gives the example of an eight-year-old girl with autism who has become responsive after just 12 sessions, “She plays with her peers. Her attention span and concentration have improved tremendously through her activities with Casper, like playing ball or walking him. She has also started saying simple words, improvements that carry forward in her class and home.” While the two have faced obstacles—both mental health and alternative therapy are still looked at with a little incredulity in India—their work is being appreciated. Nominated as MTV youth icons for 2008, they plan to expand their work so more people can benefit from their unique brand of puppy love.